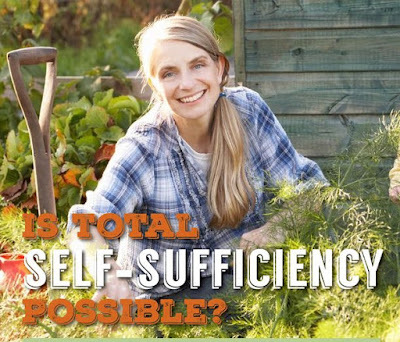 Here's my latest Molly Green article entitled Is Total Self-Sufficiency Possible? Molly Green is a really really spiffy homesteading/rural living/parenting magazine geared toward women (and enjoyed by many men as well). You might consider a subscription if you like what you see. This excerpt from a 1903 speech on Socialism seems to state your realization. We can become more asynchronous with the wider world, but, except in very special environments, when forced, we can eek out a subsistence. The stories of survival involve few people, in usually benign climates and fortunate timing. The Donner party found subsistence impossible when they ended up stranded at the start of winter vice the spring. I would also recommend the essay 'I, Pencil' which explains how no one person in all the world knows how to make a pencil ...from scratch. But as you reason in your article, we do as a civilization have the ability to come together to put that "old labor", i.e., capital, to use. And with a capitalist system, it works even with human nature's selfish motives. Good article. I would only add referring to your closing questions that if you couldn't afford hay because of a general collapse than I imagine keeping the animals fenced wouldn't be such an issue either. Homesteaders in general feed more hay these days because they have to keep the animals protected from traffic. If I didn't have to worry about that it would open up a lot more forage Summer or Winter. and let's face it...R Crusoe and Karana lived in a much more benign environment that you or I do. No real winter to speak of....lots of year round fruit. Did you see that Tesla has made a battery to power your home? I promise I'm not a spammer. :-) It can harness energy from sun and wind and keep you running indefinitely, off-grid. Very good article! From having studied domestic history I can assure you that it is a myth that anyone was totally self-sufficient from the time the pilgrims landed to today. Unless they were like Robinson Crusoe, etc. People, individuals and families, relied on extended families and neighbors for well-rounded production of necessities and luxuries. That is why communities are so important, whether they are made up of extended family, proximate neighbors, or a church congregation. We need each other, and each others' skills, talents, and abundance. Finding like minded people and cultivating deep and lasting relationships is important to human survival. You are a great teacher, Patrice, and a fine example of lifelong learning. Thanks so much of sharing all you do. At our age, we rely on equipment or other people's muscles to do much of the heavy work. In four years, we won't have the teenage son to do much of the labor, either. Husband hopes things will have turned around in the world and we won't have to do as much heavy labor to provide for ourselves the little we actually do at this time. After having earned two retirements, my husband would like to actually retire but the world doesn't look like it will let him. 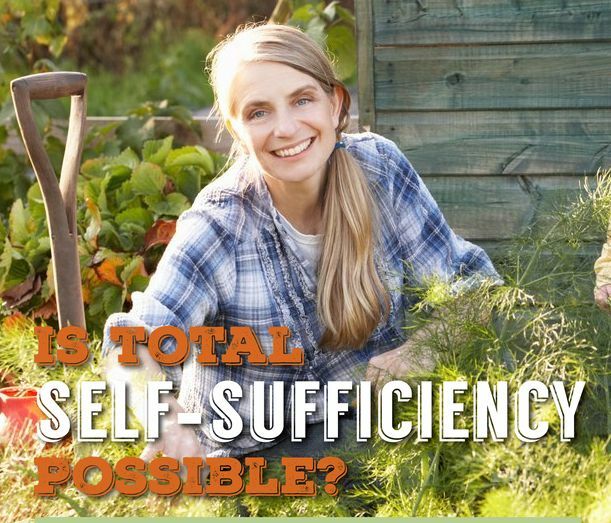 Self-sufficiency is out of the question as people age and young ones leave, in my humble opinion.